That owl is SUPER cute! 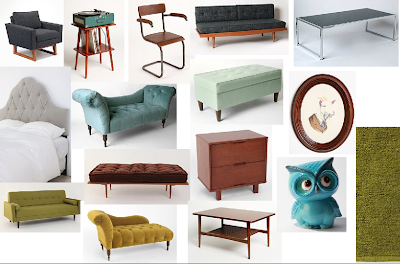 Love that pale blue bench... but alas I have far too many benches in my home already. Hush - it's funny you say that. Just this week N and I were talking about our living room and he goes "why would we put a bench in our house?"